How To See Deleted Text Messages from iPhone 7 Plus/7? How to see deleted text messages from iPhone 7 Plus/7? Sometimes, it is quite normal to delete some messages from iPhone by mistake. After deletion, you will regret and want to find those deleted messages again. Thus, is it possible to see deleted text messages from iPhone 7 Plus/7? Absolutely yes. 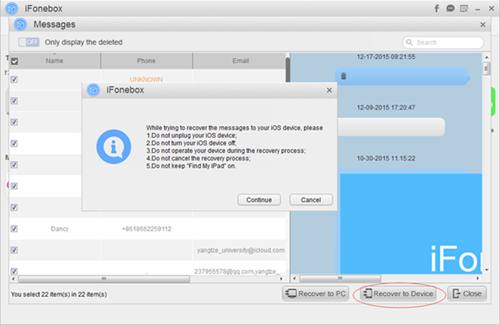 You can retrieve deleted text messages from iPhone 7 directly if within the help from iFonebox, a professional iPhone messages data recovery tool. As is known that iFonebox enables you to view deleted text messages from iPhone with or without backup. You can directly retrieve deleted messages from iPhone 7 Plus directly. Also, if you have an iTunes or iCloud backup for those lost messages, iFonebox is a helper to extract and restore deleted messages from iPhone backup selectively. Another attractive function lies in that you can use it to find lost messages without the limitation of date. You can find what you need so long as the deleted ones are not overwritten by new added data, thus you’d better turn on Airplane mode and stop using iPhone just to recover all deleted messages back to iPhone. Next I will share detailed steps to help you see iPhone 7 deleted text messages at ease. It is necessary to download and install iFonebox on your computer firstly. There are two versions accessible: Windows version and Mac version. Note that iFonebox is a PC software which means you cannot install it on your iDevice directly to run, instead you need to install it on your computer. How to view deleted messages on iPhone 7? Step 1. Launch iFonebox. Choose Recover from iOS Device mode. Please connect your iPhone to the computer with USB cable so as to scan and get back lost text messages to it. Once connected successfully, your iPhone will be detected by iFonebox. 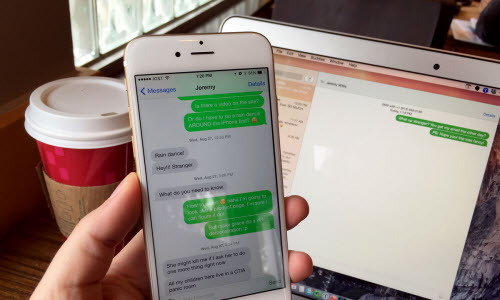 If it is the first time to connect your iPhone to the computer, you need click Trust the computer on your iPhone screen firstly. Click Start button to begin. Step 2. Scan messages from iPhone. 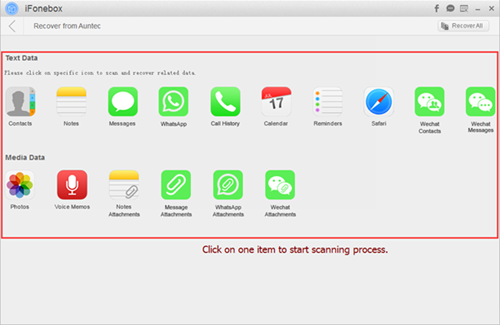 Click on Messages item to start scanning and analysis process. It may take some time to scan if you get a larger data for text messages on iPhone. Step 3. Preview and select deleted messages to check. Now you can see those deleted messages from iPhone and if necessary, you can click Recover to Device button to retrieve deleted messages back to iPhone. Once clicked, just follow the reminders pop-up from the software. You need to turn off Find My iPhone in advance. After restoring, your iDevice will be restarted and then upgrade. 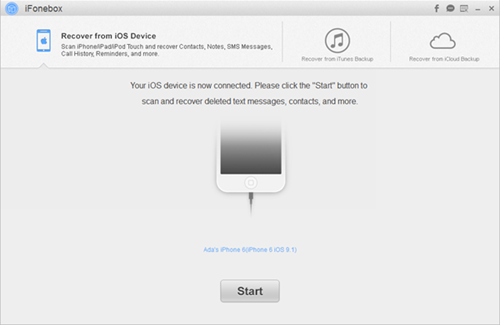 Once all are done, those deleted messages have been in your iPhone safely and successfully. Finished. It is quite convenient to see deleted text messages from iPhone via iFonebox. This entry was posted in iPhone 7, Messages and tagged iPhone messages recovery by IosdroneD. Bookmark the permalink.